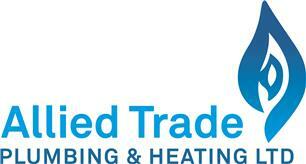 Allied Trade Plumbing and Heating Ltd - Central Heating Engineer, Plumber based in Roslin, Midlothian. Allied Trade Services are heating and plumbing engineers based in Edinburgh. We are members of SNIPEF and are also Gas Safe registered. We are able to carry out both commercial and domestic gas fitting work along with general plumbing. We have specialist boiler breakdown and servicing engineers and our highly skilled team take pride in the high standard of work we produce. Allied Trade Services welcome all work regardless of size. Our current clients range from domestic householders, property renovation companies to large housing associations. Our highly skilled Gas Safe registered plumbers and heating engineers offer an all-round service. Whether you need a straight forward boiler repair or a new energy efficient heating system installed, we offer a high quality workmanship and a value for money service. No matter what your central heating or plumbing needs, Allied Trade Services are more than qualified to do the work. For further information or advice regarding your central heating and plumbing requirements, please contact us. All work is carried out to the highest standard and is fully covered with our guarantee of quality workmanship.